Dr. Fazekas has served as a consulting and team physician for the Boston Ballet, Northeastern University, and Emmanuel College. He also provided event coverage for the BAA Boston Marathon in addition to other national mass sporting events. He currently serves as a consulting physician for US Figure Skating. 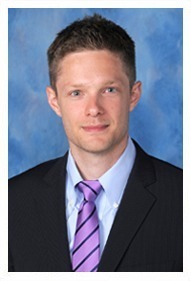 Dr. Fazekas is a member of several professional organizations, including the American Medical Society for Sports Medicine, the American College of Sports Medicine, Pediatric Research in Sports Medicine Society, Alpha Omega Alpha, the Medical Honor Society, and is a fellow member of the American Academy of Pediatrics. Dr. Fazekas is originally from Atlanta, GA and lives with his wife, son, and daughter in South Florida. His areas of interest include sports injuries, concussion management, and dance medicine.